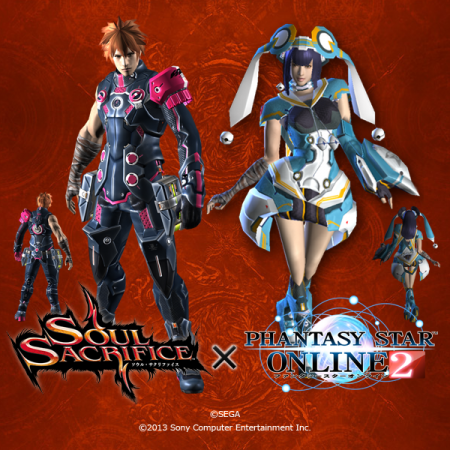 One of the PlayStation Vita’s signature titles has crossed over with Phantasy Star Online 2 in a promotion featuring free costumes! Yes from now on Japanese Soul Sacrifice players will be able to download DLC that lets you try on two outfits from the popular MMO sequel. Why only in Japan? Well unfortunately because Phantasy Star Online 2 is not out in the West yet (and shows little signs of coming at all) it’s only obvious that we wouldn’t get this fun bit of DLC here. Still, it’s a neat reminder of Sony and Sega’s relationship, and maybe this is a sign that this particular friendship is growing. That’s something to hold onto at least. Sega vs Capcom, Part XIV: What Is the Secret to Your Power?